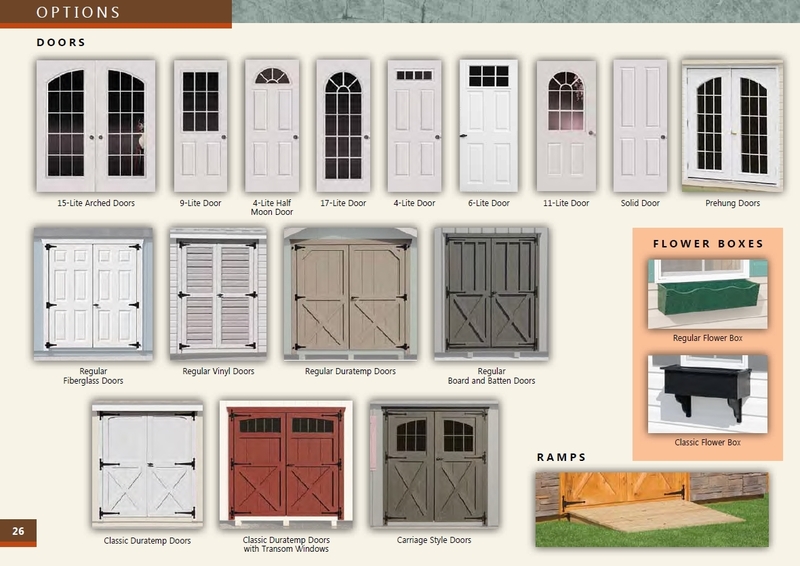 Our Classic Series is packed with an assortment of extras that can easily give your structure a classic look and feel. 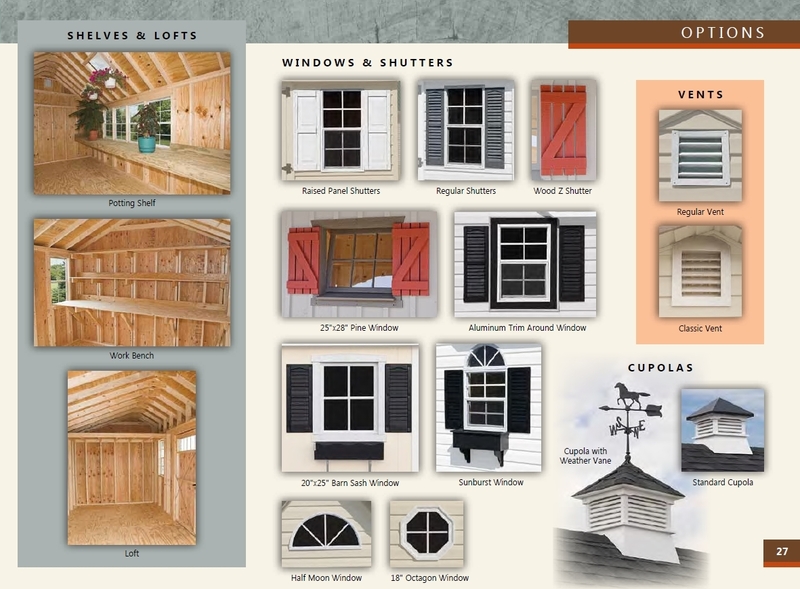 If you have a traditional home, you may appreciate selections from this series since they can fit in well. 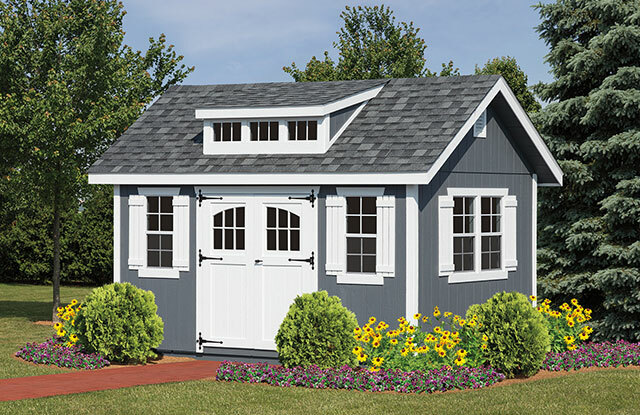 Classic or elite doors with transoms, classic vents, 8/12 roof pitches, and 8-inch overhangs are the standard features with this series. 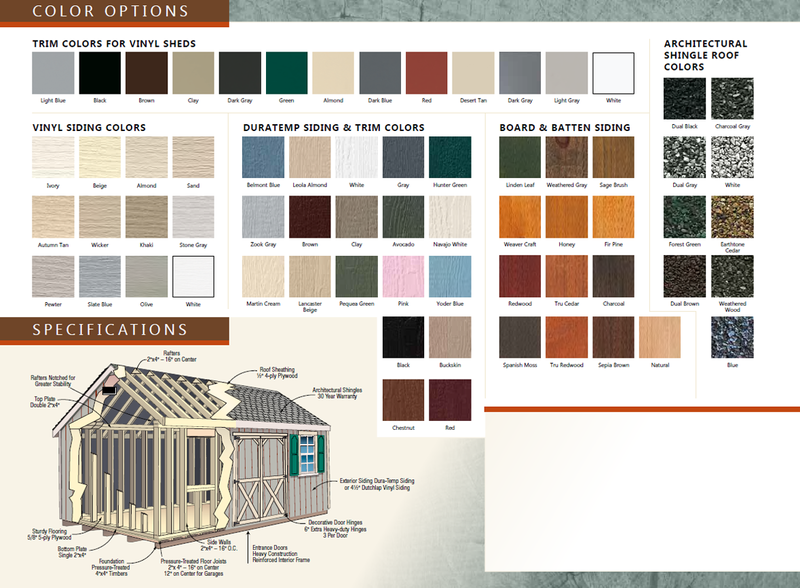 Primarily featuring A-frame roofs, our classic selections can be built with asphalt or metal roofs and enhanced with skylights, transom windows, cupolas, weather vanes, and many other accessories.